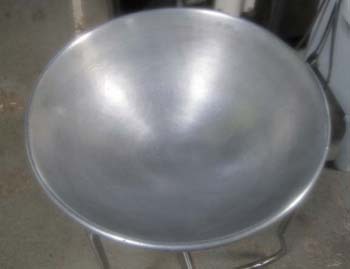 THIS AD IS ONLY FOR THE STAND ONLY, NOT THE BOWL. I SOLD THE BOWL. IF YOU HAVE A BOWL, THAT GOES ON HERE, FINE, U ARE IN LUCK. BUT WE CAN SHIP IT. IF YOU HAVE A BOWL, THIS WAS MY AD : READ ABOVE.. I DO NOT HAVE THE BOWL. I AM LEAVING ON THE PHOTOS, FOR YOU TO SEE HOW IT DISPLAYS. 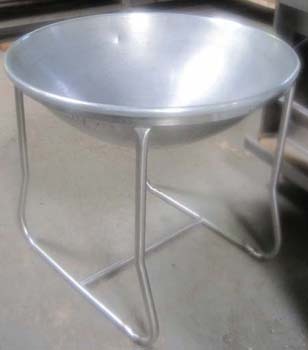 A Chef can serve a salad, with this Mixing Salad Mobile Bowl at catered events, or indoor events, ON A STAND. 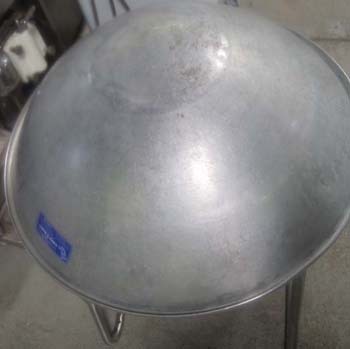 Approx: 30 3/4" wide-the bowl, 28" TALL - I THINK THE bowl is aluminum, i am not sure. But i think. * I don't know how many quarts this is. It came in used, so it may have dings, dents, scratches on it, beyond our control. If you want to know something else, email us ?? ?